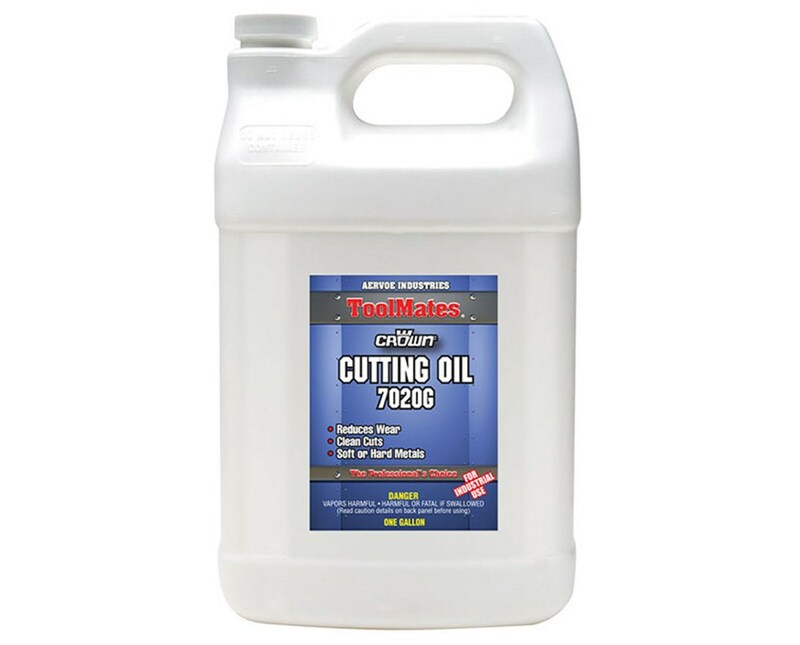 Designed for industrial cutting operations in manufacturing facilities, the Aervoe ToolMates Solvent-Based Cutting Oil (2-Pack) prolongs the life of any cutting tool or machinery part. 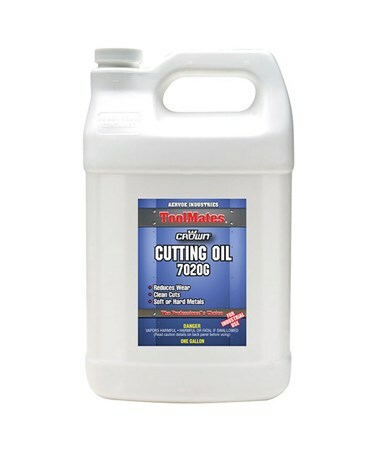 It is a multi-purpose lubricant and coolant ideal for use on pipe threaders, gear cutters, grinders, drill presses, turret lathes, and many others. Its light brown, non-foaming liquid formulation produces transparent coverage on surfaces. This solvent-based cutting oil by Aervoe provides excellent lubricity for ferrous and non-ferrous metals. It adheres at any angle and offers complete protection against rust and corrosion. Perfect for grinding, deep drawing, and other difficult cutting operations, it reduces downtime and sharpening needs. However, it is not recommended for use on electrical equipment or machinery while in operation. The Aervoe ToolMates Solvent-Based Cutting Oil (2-Pack) comes in a one-gallon container and includes two cans in one case. It can be easily applied with oil can or sprayer. It also allows dipping for large-scale applications. Easily removable, it washes away with any commercial cleaner. It is supported by a one-year manufacturer’s warranty for guaranteed effectiveness.